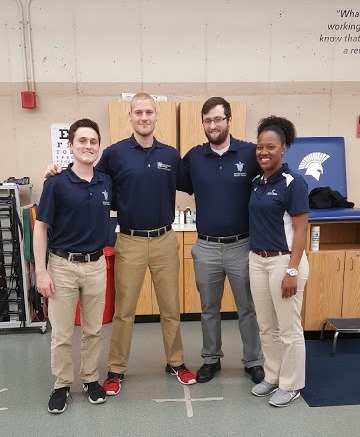 This spring, I had the opportunity to go and observe many different clinical sites in the Saint Louis area to increase my understanding of what it means to be an athletic trainer. Of the clinical sites visited, I found myself returning to Missouri Baptist most often. Ashley Broughton, MS, ATC and the PY1 students allowed me to practice my taping on them and provided advice as to how I could improve my work. Over the course of this semester, I have to say the success I have had at strengthening my taping abilities was greatly contributed to by those at Missouri Baptist. Observing at Missouri Baptist also provided a great opportunity to learn about the different types of technology used in the field, such as Normatek, ultrasound, and many others. Having little to no knowledge of such equipment, I was provided a quality introduction to how a lot of the technologies work which should prepare me for my future education. 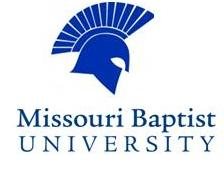 Missouri Baptist and its athletic training staff are great role models for how I would like to be when I begin practicing. Ashley was able to teach me so much while I was there, and she allowed me to ask as many questions as I could while answering them to the best of her knowledge to help me. Every time I entered the athletic training room, I always felt very welcomed by everybody there, and each day, I always expected to learn something new that I had never expected to learn about. From my observations here and at all other sites, I haven’t decided whether I would rather work with high schools or colleges, but I do have higher hopes leading in to the first professional phase and clinical site.